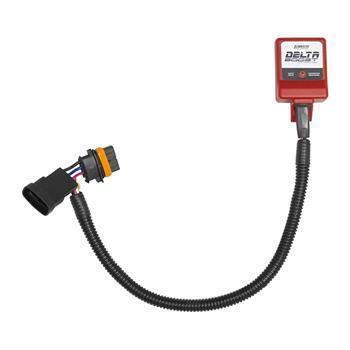 Flowmaster’s Delta Boost Module is a simple way to gain up to 4 extra psi in boost pressure with an easy to install plug and play unit on Ford’s 1.0L, 1.6L, and 2.0L EcoBoost engine. The module simply installs in-line with the boost sensor and ECU and is controlled by a downloadable Bluetooth app from your smartphone. The Delta Boost Module offers 4 different settings; Valet, Standard, Sport, and Max. The module is built in the USA and backed by a 1 year warranty.